You enjoy a little bit of the paranormal. From Goodreads.com: "There are three good reasons why dashing Civil War hero and New York lawyer William Teague cannot tell artist Mae Kendrick he's in love with her. One, she told him he was dull. Two, she is the niece of an important client. Three, she just hired him to find the man she doesn't remember marrying. As Will manages this peculiar case, the search for Mae's husband unveils a shocking discovery about her childhood, one that shifts the investigation to the place of her birth--Ireland. But on the voyage overseas, circumstances become increasingly bizarre. Mae suffers ghost-like visions and further memory loss, and Will is seduced by a beautiful stranger who just might be trying to kill him. When Mae suddenly vanishes like her husband, Will is forced to enter a thin place, an ancient monastic ruin leading to Ireland's Celtic otherworld, in what becomes a race against time to find her. But are Will's war-honed instincts any match for the alluring forces of Irish legend? Can he distinguish friend from foe? Can he protect Mae from the apparitions of her past? And how far beyond the breaking point can his secret love be tested?" 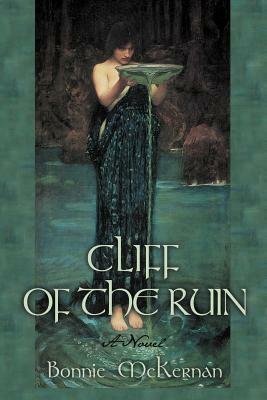 "Cliff of the Ruin" has so many of the elements that I really love in a book. There are interesting characters with interesting backgrounds. There's an interesting historical setting and time. There's even a little bit of magical realism thrown in (one of my very favorite elements). All of these things came together really well in this book and made for a very interesting read. This book did start out a little bit slowly for me. It takes awhile for the story to really get going but once it does, it doesn't stop! I thought some of the detail in the beginning could have been slimmed down a little bit in order to get to the real meat of the story faster. 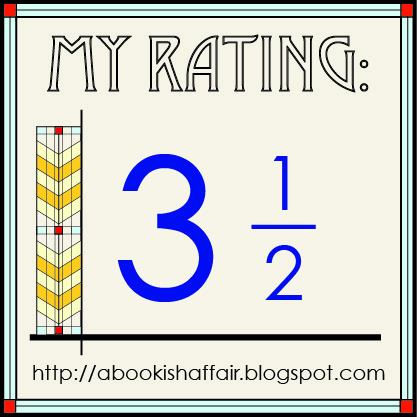 I really liked the characters in this book and thoroughly enjoyed reading about them. I especially liked when Will and Mae journey to Ireland together. I enjoyed reading about them on the ship and Mae's otherworldly encounters while they were on the ship. These are characters that you definitely want to know more about and what is making them tick throughout the book. I haven't read a lot set in the late 1800s so I really liked reading about McKernan's description of the things and people that were important to the time. I always like going someplace new within my reading! Overall, this is a pretty good book. Hang in there when you begin it and you will be rewarded with a story filled with interesting tales and great characters! Ooo this sounds like one I'd like. 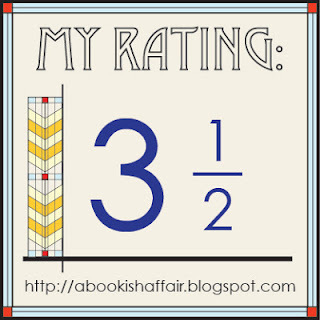 Adding it on Goodreads. Thanks!